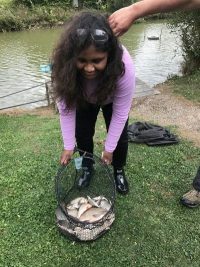 And that’s just what happens when you put keen anglers with youngsters from Uplands School in Swindon. 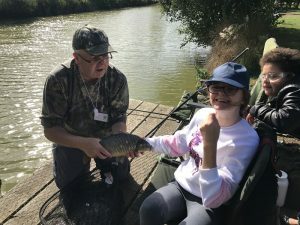 The Uplands Educational Trust (UET) a registered charity, provides learning, working and living provisions for young people with special needs aged 11-25 in Swindon. 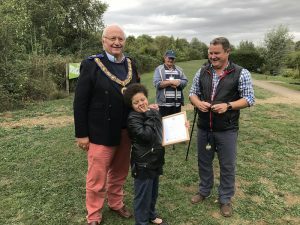 Freemasons and their angling friends were delighted to spend a few hours fishing with the young people, and judging by the whoops of joy it seems that everyone had a great time. There were no whales, sharks or crocodiles in the water, although when a freak gust of wind saw Ian Lever’s favourite fishing chair end up twelve feet from the shore, Luke an intrepid angler and Ian’s new friend for life wasted no time in stripping down to his underwear and plunging into the cold water to retrieve the chair. Fortunately for Luke and the readers of this story, no pictures of Luke exiting the waters exist. 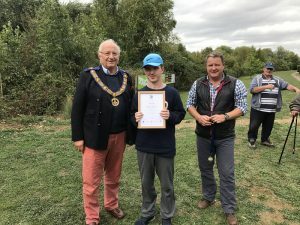 The young people were chaperoned on the day by staff members of UET and safety equipment was provided by the Masonic Salmon, Trout and Fly Fishing Trust. 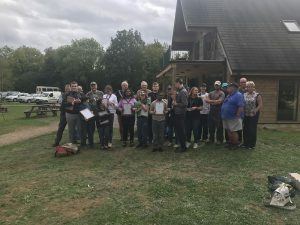 Lake Pochard Management Ltd and the Walters Lake team were delighted to support the event.